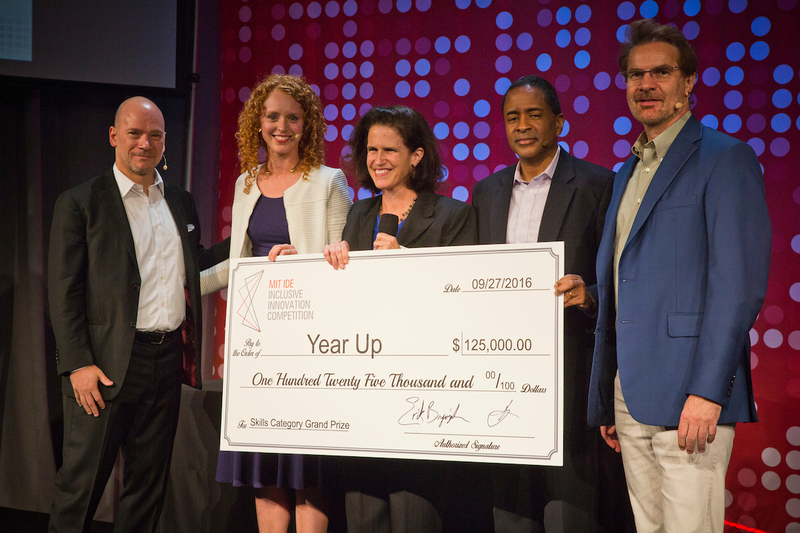 On September 27, four Grand Prize Winners were announced at the MIT IDE Inclusive Innovation Competition Awards Ceremony at the MIT Media Lab. 24 other Winners were also named. If you missed the event, catch up with Storify and see complete footage here. Full videos from all Winners are available here. The Inclusive Innovation Competition Awards were presented during HUBweek, Boston and Cambridge’s week long celebration of innovation and creativity. The Ceremony featured speakers, screenings of Finalists’ videos, and the presentation of the Awards by the Champion Committee and members of the IDE Advisory Board. See Press Release and Boston Globe coverage; also read more from MIT Sloan and Thomson Reuters.